Oldham County is known for beautiful rolling hills, great school system, and luxury real estate. Oldham County is the wealthiest county in Kentucky, which is totally noticeable once you see the real estate. Oldham County never runs short of homes over $700,000. 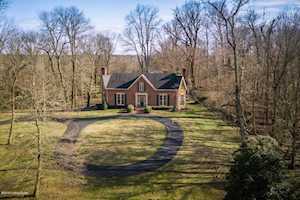 Some of the cities in Oldham County that feature incredible homes are LaGrange, Crestwood, Goshen, Pewee Valley, and Prospect. The Hollinden Team updates this search for Oldham County luxury homes on a daily basis from the Louisville MLS. 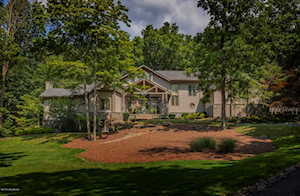 Click the map to the leftctive Map to view each Oldham County luxury home for sale. There is a satellite view button in upper right. 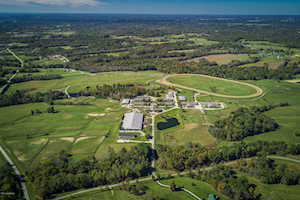 The Hollinden Team has provided a list of Oldham County luxury subdivisions with homes for sale. La Grange has a few neighborhoods that sell homes over $700,000 such as Pleasant Hill Farms, Shannon Acres, and L’Esprit. L’Esprit is probably the most well-known luxury neighborhood in LaGrange. L’Esprit is an equestrian development with more than 5,000 acres of farms for horses. In L’Esprit, the land these homes are on aren’t the only beautiful thing; these homes are just as spectacular. 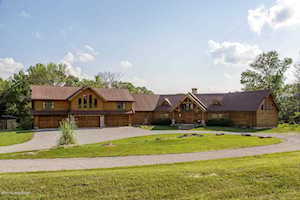 Typically, these homes sit on anywhere from around 10 to over 100 acres! The only exception is the section in L’Esprit called Reserves of L’Esprit which only have around .5 to one acre per home. In this neighborhood, you are going to definitely see updated kitchens and a lot of square footage in each home. In fact, there is a home in L’Esprit that is 13,740 square feet! A couple of the luxury neighborhoods in Crestwood are Summerfield by the Lake, Becker Quarry, Hillview Farms, and Harrods Crossing. In Harrods Crossing, homes usually range from $700,000 to $1.2 million. Usually, these homes sit on two to three acres and are traditional style homes. If you are looking for a newer luxury home, Harrods Crossing would be a great choice for you. This neighborhood began construction around 2006 and construction is still continuing on today. Goshen has multiple luxury neighborhoods to choose from. Buckeye Trace, Longwood, Skylight Manor, Poplar Woods Estates, Shiloh Farms, Harmony Landing, Huckleberry Hill, and Ridgeview Place. Longwood is a standout neighborhood located off of US Highway 42. Usually, you will only find homes that are 4,500 square feet and up in this neighborhood. Longwood is a newer neighborhood that still has homes being developed. In Longwood, you will find traditional style homes with all the bells and whistles. Pewee Valley is home to Woods of Pewee Valley, a neighborhood that defines luxury. Woods of Pewee Valley is not a cookie cutter neighborhood. You will find that each home has its own personal style. Many of these homes are gated and very up-to-date. Prospect not only has homes over $700,000 but has several homes over $1,000,000! River Glades, River Glen, Rivercrest, Paramont Estates, Reserve on Rose Island, and Rose Wycombe all feature homes over a million dollars. In fact, many of these homes are two and three million dollar homes! Typically, these two and three million dollar homes have anywhere from 5,000 to 10,000 square feet. As you would expect, these homes have many bedrooms and bathrooms (usually around five to eight). If you would like to learn more or have any questions about any of these Oldham County luxury houses for sale, just click the "Request More Information" button on any property detail page. The Hollinden Team can provide you with past sale information, comparables, disclosures, PVA assessment, and tax information – we would love to answer any real estate questions you have. The Hollinden Team is very knowledgeable about the Oldham County luxury real estate market. We have many past clients that have written five-star reviews of the Hollinden Team.